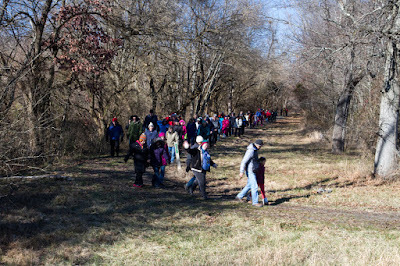 Friends of Princeton Nursery Lands invites everyone to a First Day Hike in the Mapleton Preserve on Sunday, January 1, 2017, from noon until 2 pm. For anyone who made a resolution to walk more, this is a great opportunity to start the new year off on the right foot with an easy hike through the Mapleton Preserve. The walk will start at the Mapleton Preserve/D&R Canal State Park Headquarters at 145 Mapleton Road in Kingston. Dress for the weather whatever it is. The walk is free and all are welcome. For more information, call 609-683-0483 or visit the FPNL website.